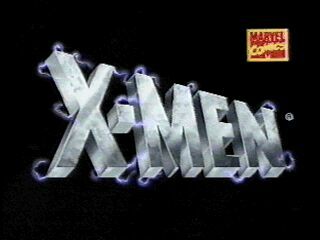 I may lose some geek points for this, but it was the 1990’s X-Men cartoon that really got me into comics. It started me collecting Uncanny X-Men in the Era of Gratuitous Pouches, and I never looked back. From there, I branched into the re-issues of Sandman, the Darkness, the HBO rendition of Spawn, and both the Dreamwave and IDW versions of Transformers. Since then, it’s mostly been a random graphic novel here and there, many of which were borrowed from my local library. That one cartoon opened up worlds to me. I should think Amy Dallen’s vlog at Geek And Sundry. She said that this cartoon was a gateway to comics for her, and since it was for me as well, I went looking for it. When I saw that Netflix had it available for streaming, it was all I could do not to cackle and steeple my fingers. The rewatch stirred quite a bit of conflict in me, I’m not ashamed to admit. The story was much like the story in the comics. Each story arc was meant to be more or less complete, and spanned a seemingly random number of episodes. Also like the comic, and unlike most of the animated television that I’ve watched, the art team changed with many of the story changes. Frame rate varied wildly, as did costume and coloring reliability. I strongly suspect that the episodes were grouped by story arc and then contracted out to different animators and studios. Despite some of the pathetic animation that resulted, I don’t remember being the slightest bit disappointed or frustrated with it as a teen. My favorite stories were just as awesome as I’d remembered. Apocalypse. Bishop’s timeline shuffling. Apocalypse. Phoenix and Dark Phoenix. Apocalypse. Creed’s outing as the son of a mutant. Did I mention Apocalypse? I should, because he’s my favorite villain of all time. OMG Mystique wore clothes! How crazy is that! The voice actor for Storm could make the most ridiculous lines sound awesome. Halle Barry didn’t have a chance. And when Wolverine was duking it out with Sabretooth? That dialogue dripped so much testosterone that I almost wanted to watch football and drink a beer. Almost. And, damn it all, the sentinels should have made it into the movies! This series may not live up to all the praise that I heaped upon it over the years, especially when compared to present-day animated shows, but it’s still a damn good series. In another five or ten years, I’ll probably watch it all over again, and enjoy it just as much. This entry was posted in Reviews by David Crampton. Bookmark the permalink.